Hayden Winters, author of a string of bestselling thrillers, hopes that his stay at the Peach Orchard Inn in Honey Ridge, Tennessee, will be just what he needs to complete his next book. He gets more than he expected when the spirit of Thaddeus Eriksson, a Yankee miller who migrated to Honey Ridge after the Civil War and after the deaths of his wife and daughter in a house fire, invades his dreams. Hayden’s own past haunts him, but the lives of Thaddeus, Josie Portland, and Abram, a former slave, become increasingly real to him, more substantial than the fiction that he has woven into his own biography. Carrie Riley is a loving sister, a good friend, and a compassionate person. She is also a woman filled with fear. 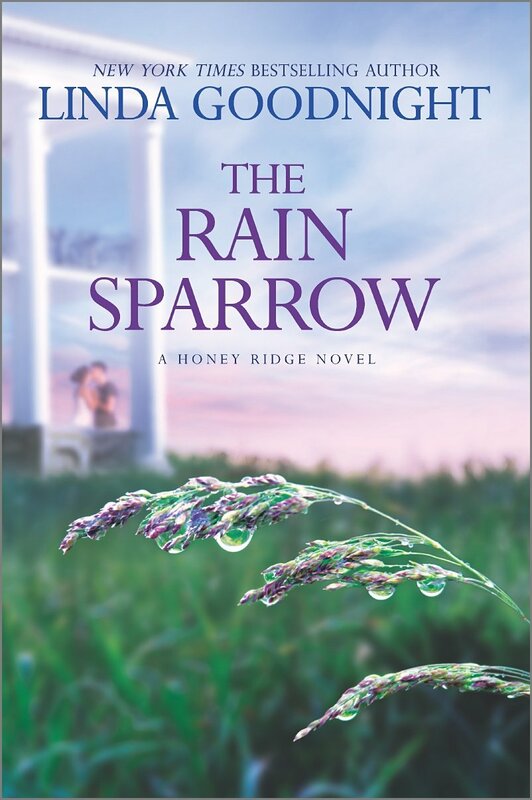 She is afraid of storms, afraid of flying, and afraid of venturing beyond Honey Ridge and her job as librarian. A single scandalous incident from her past has left her wary of anything that draws attention to her and of any man to whom she feels an attraction. If she ever married, and the jury was still out on that unlikely event, she wasn’t looking for tingles. She wanted a friend, a man who would discuss books and work beside her in charities and hold her through the storms of life, both figuratively and literally. Hayden and Carrie meet late one night during a violent thunderstorm. He is looking for a cup of coffee, and she is hoping to find someone else in Peach Orchard Inn awakened by the storm. When eleven-year-old Brody Thomson appears, a fugitive from the storm, they befriend him. Carrie recognizes him as an after-school regular at the library, and Hayden sees in the boy a younger version of himself, a battered child who prefers “camping out” to what awaits him at home. From this point on, the lives of these three are intertwined. They care about the boy and are soon caught up in the mystery of Brody’s mother’s disappearance years before. They are caught up too in their growing feelings for one another, but Hayden believes he can never share his past with anyone, and he is convinced sweet Carrie deserves better than he can give her. Meanwhile, Thaddeus, Josie, and other long-dead characters and the events at the grist mill loom large and vital in Hayden’s dreams and in his head. He feels compelled to write their story even though he never expects to publish it as far removed as it is from the stories that have made him rich and famous. He and Carrie will be called upon to exhibit the same courage that characterizes Thaddeus as they confront their own challenges. Goodnight proved in The Memory House, one of my favorite books of 2015, that she could blend the present and the past in a seamless tale that captures the reader’s sympathy and imagination. She does so again in this second Honey Ridge novel. I was engaged with all the characters and as eager to see the scarred Thaddeus and angry Josie find happiness as I was to see wounded Hayden and fearful Carrie conquer their demons and achieve their HEA. Seeing the main characters from The Memory House, both past and present, in the midst of their HEAs was a bonus. 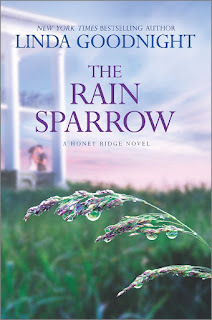 In The Rain Sparrow, Goodnight gives readers another novel that is both historical and contemporary, both mystery and romance, both intriguing and rewarding. I am eager to see what’s next in this series, and I give the second book my unqualified recommendation. I've not read her but this sounds really good - thanks! Looks good. I'm adding to my Goodreads' list. Sounds good, Janga. I've never read Linda Goodnight before. Sounds likes it's time to add her to my list of authors to check out. Thanks for the rec. Oh wow!! This one sounds really good. I'd love to read it. Wow. I will need to read the first book.